Did you know you can compare 100’s of equipment personal loans? 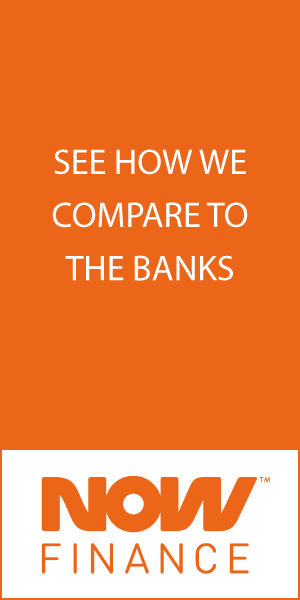 Browse, filter and compare on our main personal loans comparison page. Looking to make a major purchase, go on a holiday or perhaps to consolidate your existing debts into one simple regular repayment? When comparing equipment personal loans, there are other important things to consider and understand, in addition to the lender’s interest rates. What type of equipment personal loans are on offer? Secured equipment personal loans use an asset you own as collateral. If you are unable to repay the loan, the lender can then repossess and sell the asset to recoup some or all of the losses from the unpaid loan. If you own a car, property, term deposit or some other valuable asset, you will likely be offered a lower interest rate in exchange for offering it as collateral. You could potentially borrow a larger sum of money if you offer security and meet the lending criteria. Unsecured equipment personal loans are loans where you do not put up an asset as collateral. Unsecured loans are higher risk for the lenders, because if you default on the loan, there’s a reduced possibly to recoup the loan. These types of loans come with a higher interest rate, reflecting the greater risk. Variable interest rates may rise and fall throughout the life of your loan. This could potentially mean that you will save money in the future if interest rates fall, but if interest rates rise in the future, it could become difficult to continue to meet the monthly premiums. Variable interest rate equipment personal loans tend to be more flexible for payment terms than fixed rate loans, which gives you more options to manage your finances and tailor your payments to work for you. Do you have an equipment personal loans repayment calculator? How to apply for an equipment personal loan ? If you’d like to apply online for an equipment personal loan , just scroll up and click on “GO TO SITE” to be taken to a secure online application form. Before you apply, be sure to learn about the lender’s fees and eligibility criteria. The ease of application varies between lenders, so give yourself around 30 minutes to complete the application. What are the equipment personal loan eligibility criteria? Credit cards with large credit limits are seen as liabilities, even if there’s nothing owing. If you have existing liabilities, be certain you can pay them off in addition to your equipment personal loan. Minimum and maximum loan terms and amounts vary between lenders. We strongly recommend you use the filter to determine the most appropriate lender for you. Most common minimum loan amounts start from $5,000 with maximum terms up to $100,000. However, most lenders will not provide unsecured equipment personal loans beyond $50,000. All lenders allow you to repay off your equipment personal loan early, however – you should check each product for any potential early repayment fees. Not all lenders allow you to redraw on your repayments. Some lenders only allow you to redraw on additional repayments you’ve made, whilst other do not allow redraw at all. Often (but not always) you will find fixed equipment personal loans will not allow redraw, but offer a lower rate, whilst variable rate equipment personal loans may allow you to redraw additional repayments you have made, but may also charge a higher interest rate.